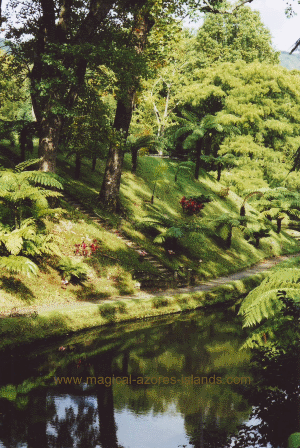 Terra Nostra Park, located in Sao Miguel Azores, is a beautiful place to visit. It is located in the beautiful town of Furnas. The park is artistically landscaped and very well kept. 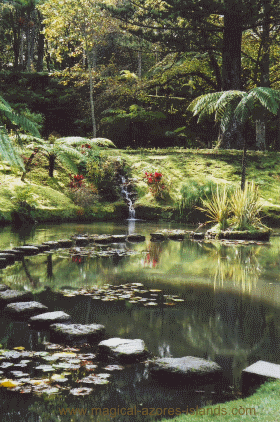 For that reason it is one of many favourite stops for photographers and gardeners who visit the Azores. And for those who like the idea of a swim in warm mineral water for therapeutic relief, as the park has a huge pool that is fed from natural sources. 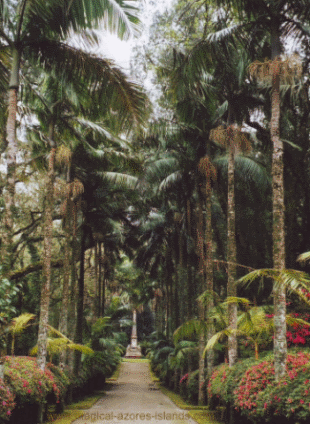 Terra Nostra park is the former estate of Thomas Hickling, an orange grower and US consul to the Azores. He established the property around 1780. A later owner of the property built a larger home, added more land with streams, and more tree and flower beds. Many of the trees and plants are from all over the world with some being over 100 years old. The park now has thousands of trees together with Rhododendrons, Hydrangeas, Ferns and many other plants that thrive there. Do you have any pictures from Terra Nostra park? Please share them at the Your Azores photos page. Or try the Magical Azores Islands home page.